Shari’ati’s anti-colonial and nationalistic political activities continued after his arrival in Paris. 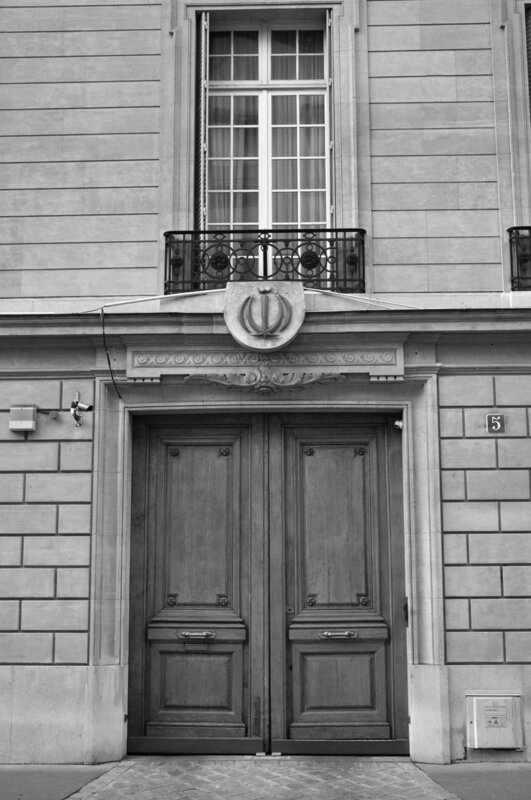 In the 1950s and 1960s, the intellectual and political vitality of Paris and Shari’ati’s interaction with fellow students, professors, and intellectuals prompted action against the oppressive colonial policies of France in Algeria and his involvement in Iranian politics via Iranian student organizations in Paris. According to Rahnema, Shari’ati’s political development went through two phases: 1) exposure to, comprehension and analysis of new facts and ideas; and 2) making critical contrast between newly-acquired information and his preconceptions and prejudices. Shari’ati’s political development process ignited a new paradigm, the potent revolutionary tool that he took back to Iran after completing his studies in Paris. On 14 February 1961, a multi-national crowd of students in Paris, mainly African, converged on one of the northern angles of Place de l’Etoille to protest the assassination of Patrice Lumumba (Congolese politician and independence leader who also served as the first Prime Minister of the independent Democratic Republic of the Congo). Lumumba was assassinated on 17 January 1961. Reference: Rahnema, Ali. An Islamic Utopian: A Political Biography of Ali Shari’ati. I.B. Tauris & Co., 2014, p. 120. The students protesting the assassination of Patrice Lumumba later gathered in front of the Belgian Embassy where Shari’ati came to the realization that “a nation is the sum total of all human beings who feel a common pain.” The students attacked the Embassy and the police arrested a large group of students. Shari’ati was arrested at the demonstration in front of the Belgium Embassy after the assassination of Patrice Lumumba and taken to the prison of Île de la Cité. Shari’ati provided a detailed account of his conversations at the prison about politics, religion, and the tug of war between Christianity and Islam with a Christian Tanganyikan student of politics, which he calls Guioz. References: Shari’ati, Ali. Bāzgasht. Collective Work, Vol. 4, p. 77. / Shari’ati, Ali. Goftegūhay-eh Tanhāī. Collective Work, Vol. 33/1, p. 3, 57. / Rahnema, Ali. An Islamic Utopian: A Political Biography of Ali Shari’ati. I.B. Tauris & Co., 2014, p. 120. The Union of Iranian Students in France (Ettehadiyeh-eh Daneshjouyan-he Iran dar Faranceh) had its irregular quarterly meetings at this location. It was the locus of activities of politicized Iranian students in France associated with the National Front, The Society of Iranian Socialists, and the Tudeh Party. Shari’ati arrived at the meetings punctually and silently sat while casting his vote. Reference: Rahnema, Ali. An Islamic Utopian: A Political Biography of Ali Shari’ati. I.B. Tauris & Co., 2014, p. 98. 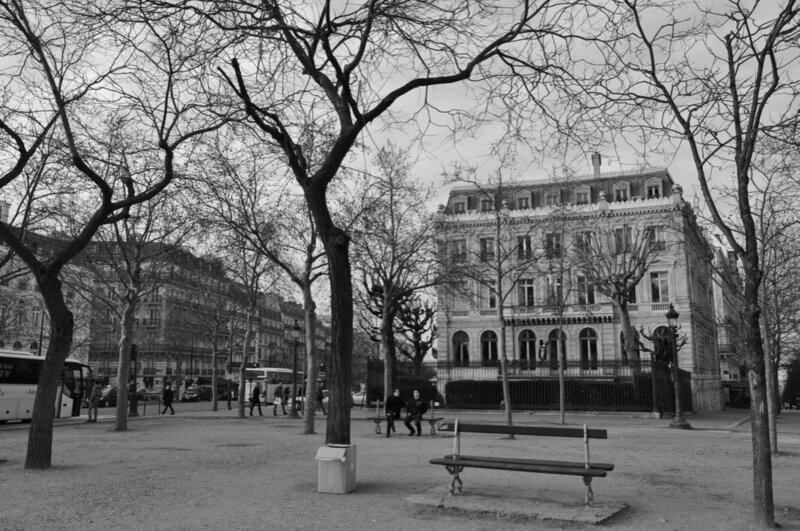 The decision-making meetings of the effective leadership of the National Front (Jebheh Mellī) in France were held at the home of Parviz Varjavand, Mehdi Asgari, or a cafe called Le Rostand, near the main gate of Jardin du Luxembourg. Shari’ati attended most meetings, however, Varjavand states that it was difficult to secure his attendance at all meetings as he was far from a disciplined organizational person. At the time, Le Rostand was popular among professors and students at the Sorbonne. 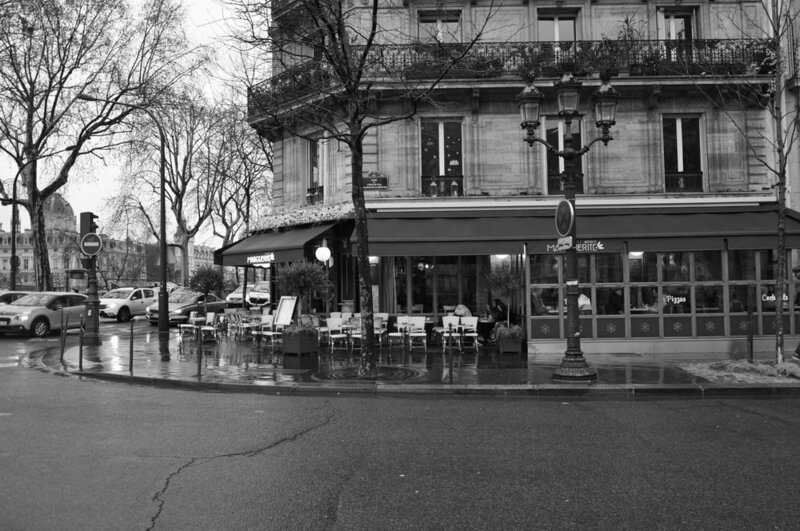 It is said that Shari’ati used to read his Le Monde and chain-smoked his Royal cigarettes at this cafe. Shari’ati would have coffee at this cafe with his friends Harati, Mehdi Asgari, Mehdi Mozaffari, Muhammad Tavassoli, Suresrafil and Alavi to exchange ideas on the latest political news from Iran. Reference: Rahnema, Ali. An Islamic Utopian: A Political Biography of Ali Shari’ati. I.B. Tauris & Co., 2014, p. 110, 119. Members and sympathizers of the National Front (Jebheh Mellī) met at this cafe once a month for a general assembly. Shari’ati was neither a member of the Executive Committee nor the Council of the National Front in France, yet he attended all meetings. Reference: Rahnema, Ali. An Islamic Utopian: A Political Biography of Ali Shari’ati. I.B. Tauris & Co., 2014, p. 110. Note: This is the only place where a spacious cafe right across from the Hôtel de Ville could have been. The Congress of the World Confederation of Iranian Students (Konfederāsīūn-eh jahānī-he mohasselīn va daneshjūyan-eh Irānī) was held at this location in Winter of 1961-62. The Congress failed to create a united student movement between the Mosaddiqist National Front students and the pro-Soviet Marxist-Leninist Tudeh students. Shari’ati sat baffled in the hall at Maison de la Chimie rubbing his forefinger on his forehead. Reference: Rahnema, Ali. An Islamic Utopian: A Political Biography of Ali Shari’ati. I.B. Tauris & Co., 2014, p. 101. A commemoration ceremony was organized by the Iranian students of Paris in front of the Imperial Iranian Embassy in honor of three Tehran University students, Azar Shari’at-Razavi, Naser Qandchi, and Mostafa Bozorghnia who were shot by the army in 1953. Azar’s sister (Shari’ati’s wife), Pouran, was standing in the front row while Shari’ati discreetly stood in the back. He did not wish to be identified with student protestors and dissidents, as he was a student on a government scholarship. Reference: Rahnema, Ali. An Islamic Utopian: A Political Biography of Ali Shari’ati. I.B. Tauris & Co., 2014, p. 100. Note: The Iranian Embassy is currently located at 4 Avenue Diena Paris 75016.